I want to live in a cottage by the sea. I want it to have wood that’s worn and made imperfect by the sand and salty air. I want it to have shudders and big windows that I can throw open during soft rain showers so that I can listen while I nap. 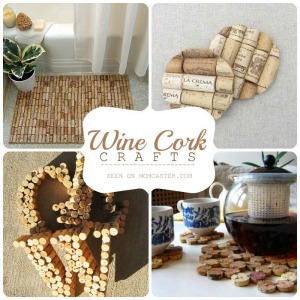 Enjoy these beach cottage bathroom inspirations from these 5 talented bloggers. I love everything about their ideas. 1. 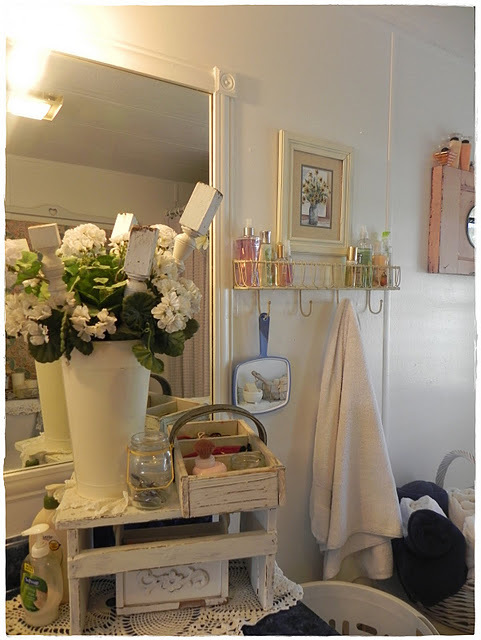 I adore this bathroom by A Southern Belle With Northern Roots. 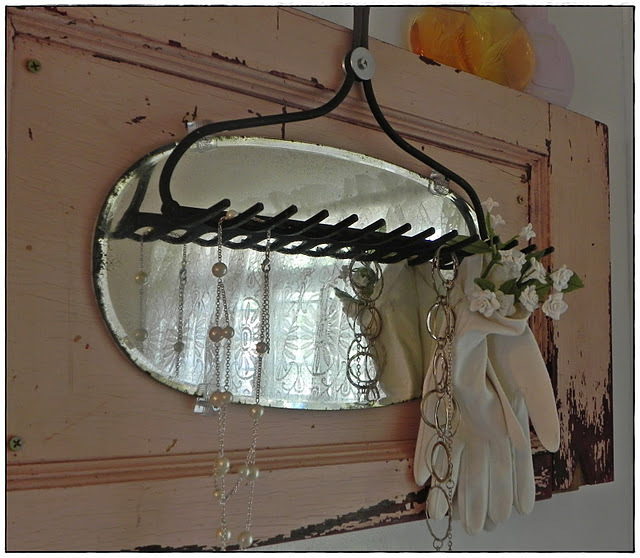 She has put the sweetest little touches everywhere – lots of little unexpected joys. 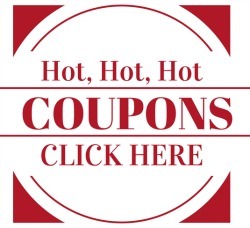 Go to her site and see for yourself and pin her up! 2. 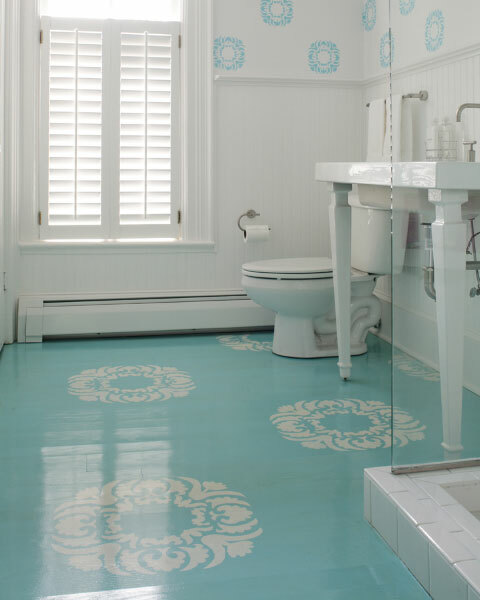 From Decor Pad, I am in lust with this glossy bathroom floor. It’s so pretty and clean. 3. 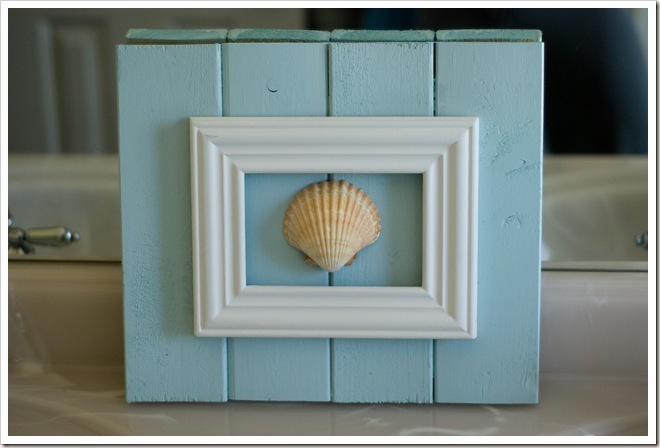 Jaime Scott created this precious little seashell from a frame and an old pallet. I can imagine these all over my seaside cottage bathroom. 4. 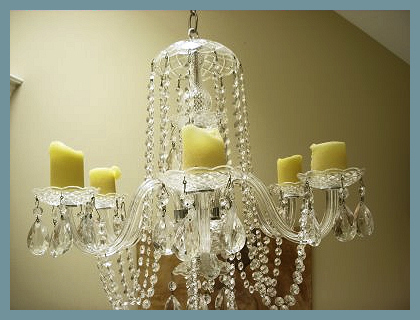 Hope Studios found this second-hand candle chandelier, cleaned it up and hung it over her tub. 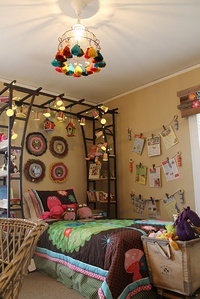 I am in love with this idea. 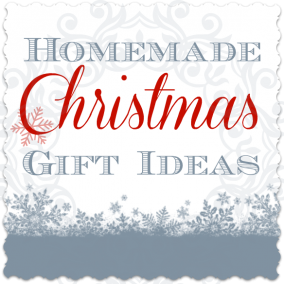 Take a look at her blog to see how beautifully this idea creates a wonderful atmosphere. 5. 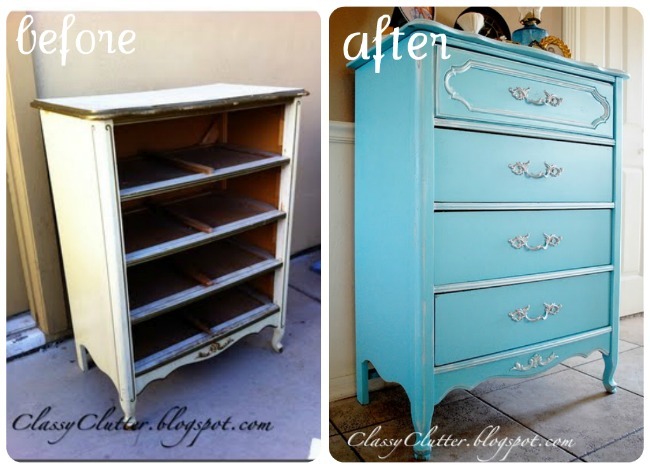 I am a freak for dresser makeovers and I think this one from Classy Clutter would be perfect in a cottage bathroom. Not for nothing, her blog features some AMAZING work. You will be inspired like mad.